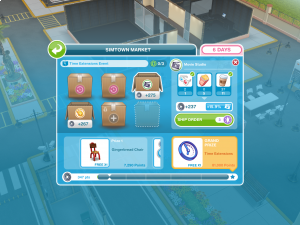 A new Event has begun in the SimTown Market, active in all Profession Workplaces! Get your Sims to work, and start fulfilling orders for your chance to win the TIme Extensions and more! In this you have to to complete orders to gain points in the Time Extensions Event. Then you will see all the different tasks you need to complete in order to gain points in this Event. 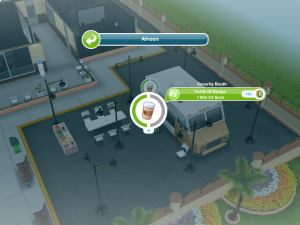 The tasks are based on your Sim's Careers, but you can also get some extra points by watching ads when that option is available. To get started, tap an order from the boxes on the left then on the right you will see what you need to get to fill that order and get the points. There is an option to use social points to ship an order straight away without going to complete it manually in the game with your Sims. To get started fulfilling orders, tap the Career icon at the top left of the box which details the order, that will take you to the specified workplace where you can get started as you would normally playing through career Goals.